As Toronto's Fresh Snow gear up for their EP Won, they have already shared the track "Proper Burial," and now they've given the same tune a video. The song combines an urgent, unsettling bass groove with tuneful vocals from DIANA's Carmen Elle. 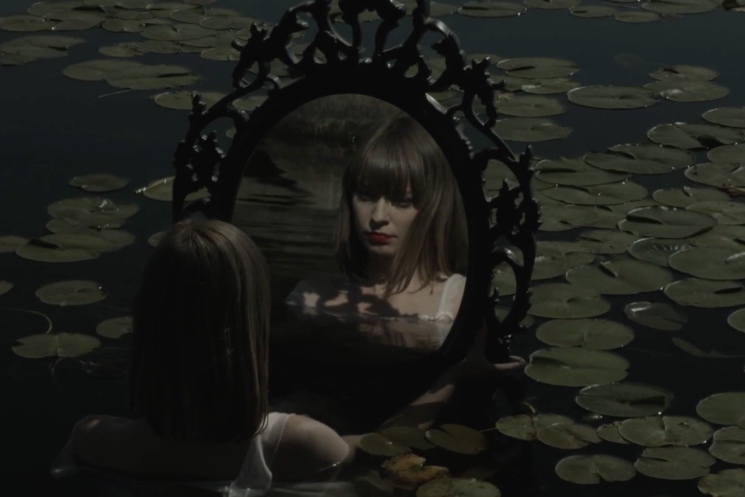 The accompanying visuals emphasize the song's spookiness, as we watch a scared-looking woman walk out of her room and follow a mirror-holding man through the forest as if in a trance. It's very Lynchian, and the woman ends up in a lake and then a parking garage before we see the spooky, Heroes-esque finale. The clip was directed by Ghostprom. Check it out below. Won will be out on September 11 through Hand Drawn Dracula.